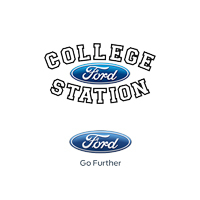 As a customer here at College Station Ford your satisfaction is our highest priority. When you leave we want you feel confident in the service we have provided, and that your vehicle is in tip-top shape. Our highly qualified body shop staff takes pride in their skill and will treat you like one of our own. We look forward to meeting you soon. We recently purchased a vehicle from the Used lot on Hwy 21. We were greeted by Ron, a friendly and knowledgeable sales person. He was enjoyable and made us feel instantly comfortable, without being pushy. When we decided to make the purchase, Gene worked tirelessly to secure the very best financing he could find for us. His hard work and dedication to customer service impressed us from the get-go! This will be our third vehicle purchased from College Station Ford and we have been exceptionally pleased with all of them. They have all been excellent vehicles and lasted us very well. We can’t thank the guys enough for their time and effort spent in making sure we got just what we wanted. And we couldn’t be ANY happier! I always have a GREAT experience when getting my vehicle serviced at College station Ford. Every time I visit Mr. Jerry Buck makes the experience as if my vehicle is his personal Truck. The quality care and explanation of repairs are hands down 5 STAR SERVICE!!! Thank you Mr. Jerry Buck and the Ford team for OUTSTANDING CUSTOMER REPAIRS & SERVICE!! !